The World famous yacht race, the Transat Bakerly, is returning to Plymouth this bank holiday weekend. The race sees 40 top sailors in the fastest boats sailing solo across the Atlantic Ocean. 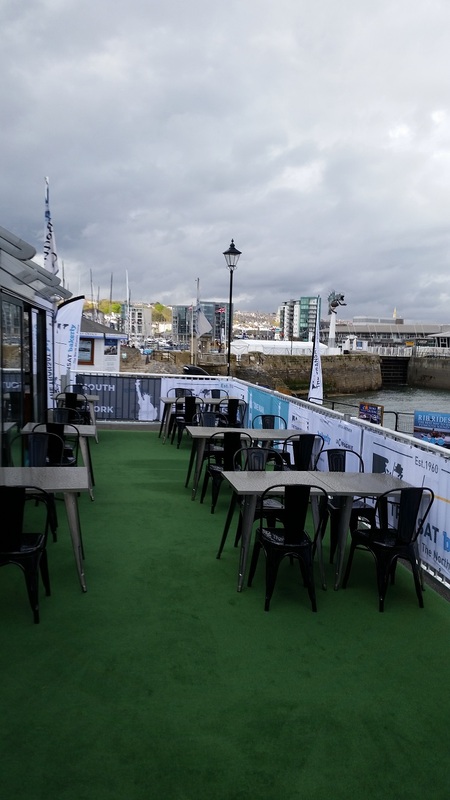 Located on West Pier and Commercial Wharf, the spectacular Race Village (created by PL1 and the Plymouth City Council) will be open from today until Monday – 10am-5pm daily – with lots of exciting events scheduled to keep you entertained, including the “Get Your Kit On” competition where you can win great prizes. This year we have helped to transform the Boathouse Café into the G.H Mumm Champagne lounge, offering up a comfy place to sit and relax and some prime viewing for the start of the race.